On December 4th. 1971 Pietro & Caterina (Lema) Lisa opened up a deli, Lisa's Italian Deli. The mayor at that time was Louis DePascale, who cut the ribbon for our grand opening. It was an exciting time for us which continued for 47 years. Mama Lisa ran the kitchen & Pietro Lisa served the counter with their sons Tony & Angelo. We have always had passion to serve our customers. 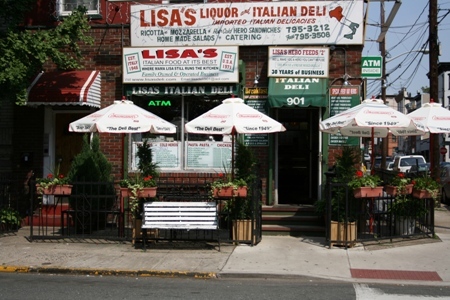 At Lisa's Deli we serve up fresh & healthy Italian cuisine. Family owned and operated we use only the finest ingredients and imported products. Choose from our selections of breakfast items, pizzas, entrees, sandwiches, pastas, salads and much much more!!!! Try our homemade Mozzarella it is the best in town. If you can't make it to us - no problem -we'll come to you! Click on the Order Online tab above and we'll deliver right to your home or office. And be sure to make use of our advance order feature to ensure that your food is delivered exactly when you want it. Order from work and have our delicious cuisine arrive at your door right after you get home!